The National Aeronautics and Space Administration (NASA) has awarded Orbital ATK a contract to design, produce and integrate up to three Joint Polar Satellite Systems (JPSS) satellites to provide critical weather forecasting data and to advance environmental and oceanographic science for the National Oceanic and Atmospheric Administration. JPSS-2 to be built on Orbital ATK’s LEOStar-3 bus platform. The contract includes a firm order for the first satellite, referred to as JPSS-2, valued at $253 million and options for two additional satellites, JPSS-3 and -4, valued at $217 million. The work will be performed at Orbital ATK’s satellite manufacturing facility in Gilbert, Arizona. 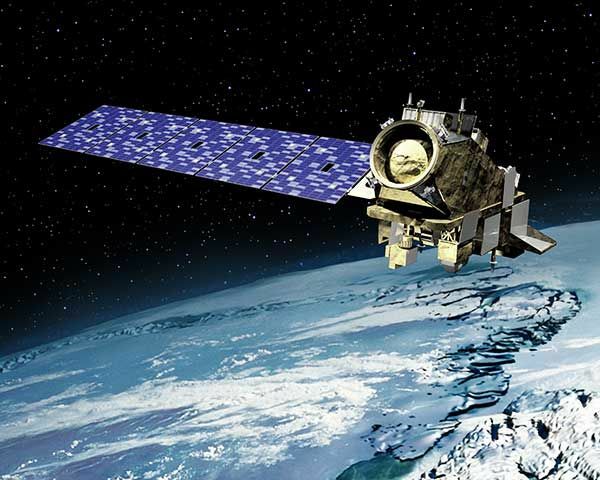 The JPSS-2 satellite will provide operational continuity of space-based weather observations, extending the successful 40-year NOAA/NASA partnership into the 2020 decade and potentially the 2030 decade with the optional satellites. Under the new contract, Orbital will design and fabricate the JPSS spacecraft, integrate government-furnished instruments, conduct satellite-level testing, and support on-orbit check-out. While the company has completed numerous spacecraft for other scientific related missions, this contract marks Orbital ATK’s first weather operations mission. The JPSS-2 spacecraft will be built on Orbital ATK’s LEOStar-3 bus, a flight-proven flexible satellite platform that can accommodate a variety of missions. Originated to support long-life missions, the standard, modular bus design incorporates improvements and upgrades from Orbital ATK's subsequent bus developments and their highly successful missions. Some of the satellites currently in operation include Digital Globe’s GeoEye-1 Earth Imager, and NASA’s Dawn and Landsat 8 satellites. NASA’s Ice, Cloud, and land Elevation Satellite (IceSat)-2, also built on the LEOStar-3 bus, is presently in production at the company’s Gilbert facility. With the JPSS contract coming in on the heels of IceSat-2 production completion and the potential follow-on options for two additional JPSS satellites, this is the right time and right facility for the job. The Gilbert facility was designed for multiple vehicles to be processed simultaneously and has the capacity for upward of 6-8 medium class satellites to be in production at any given time. Orbital ATK has been working on the LEOStar-3 lineage for a couple of decades now and has a strong workforce who is well positioned to take on this next program. If the options for the two additional JPSS satellites are exercised, the continuity extends even further for the team. Following JPSS-2, the baselined launch schedule is at four year launch centers, meaning that after JPSS-2 launches, JPSS-3 will launch no later than four years later and JPSS-4 launches no later than four years after that. With the recent merger of Orbital and ATK completed, there are also some significant synergies that come into play with this contract award. The JPSS-2 satellite will be delivered in 2020, while JPSS-3 and JPSS-4 will be delivered in 2024 and 2028, respectively, if NASA exercises those options. Each JPSS satellite will have a design life of seven years on-orbit.